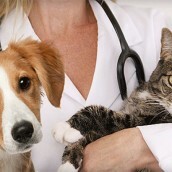 Your pet’s health is obviously important to you, and part of having pet is finding him or her the perfect vet clinic. There are many aspects to your pet’s health that you might not think about, and a few surprising things that you need to keep in mind in order to ensure your pet stays healthy and happy. Having an open dialogue with your vet is a great way to ensure you are getting the most out of your visits to the clinic. Here are a few questions to ask your South Loop vet. Which Type Of Food Is Ideal? The nature and composition of the food you should be feeding your pet can depend on other factors. These factors include things like your pet’s age, any pre-existing health conditions, the climate in which you live, and any dietary needs or sensitivities. Your vet is the best person to ask about your pet’s nutritional intake, so be sure you listen to his or her advice, and ask follow up questions if you are uncertain. How Often Should Visits Be Scheduled? Generally speaking, pet owners who have healthy pets should take them in for routine check ups once every six to twelve months. This gives your vet a chance to give regular booster shots and vaccinations, while examining your pet’s overall health. However, certain medical conditions may warrant more frequent visits, so be sure you ask about booking your next appointment before you leave the clinic. Just like with humans, poor oral hygiene in animals can lead to other more serious health concerns. It is an often overlooked aspect of your pet’s overall health, that is surprisingly important. Asking your vet about the best way to care for your pet’s teeth will help you keep your pet in the best possible health. For more information about your visit to your South Loop vet, contact Metropolitan Veterinary Center at www.metrovetchicago.com.